This guide is intended for Magento users who wish to create new or rewrite existing descriptions for their products. We'll show you how to export your product information from Magento, and create a content order on your Copify account for each one. With this method, you can create hundreds, or even thousands of new product descriptions for your eCommerce website. 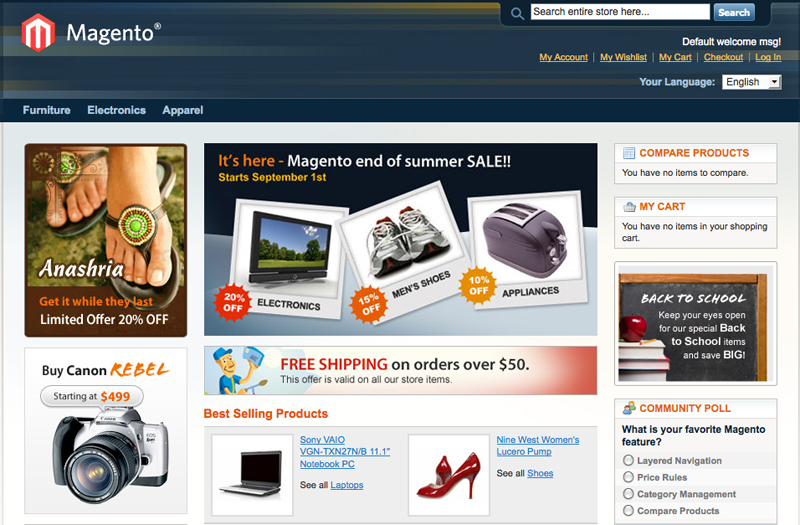 For the purposes of this guide, let's imagine we have a Magento store already set up. We've uploaded lots of new products but the only descriptions we have are from the manufacturer. To convert more customers, and to show search engines you care about good content, we need to create new descriptions. All of the products in the category Cell Phones will be exported and sent to Copify. 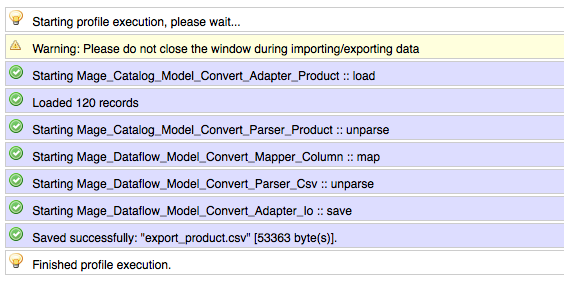 Log in to your Magento admin and go to System -> Import/Export -> Dataflow. From here, choose Add new profile. Under Profile information, give your profile the name copify and select the Direction as export. Change the Data format to CSV / Tab seperated and choose Only mapped fields. You're all done. Go ahead and Save Profile. From the list find your new Copify profile, click in to it, and select Run profile in popup. 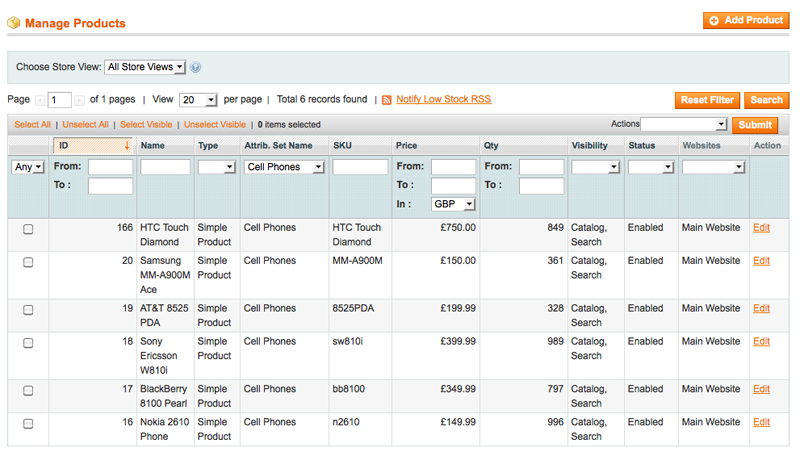 Your export CSV will now be located in /path/to/magento/var/export/export_product.csv. Connect to your store's webserver (FTP, SSH etc.) 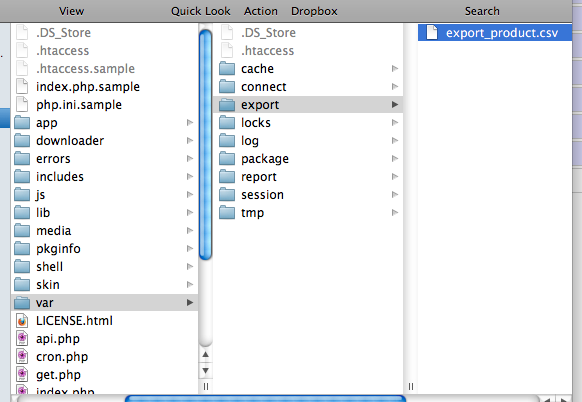 and find the export file. 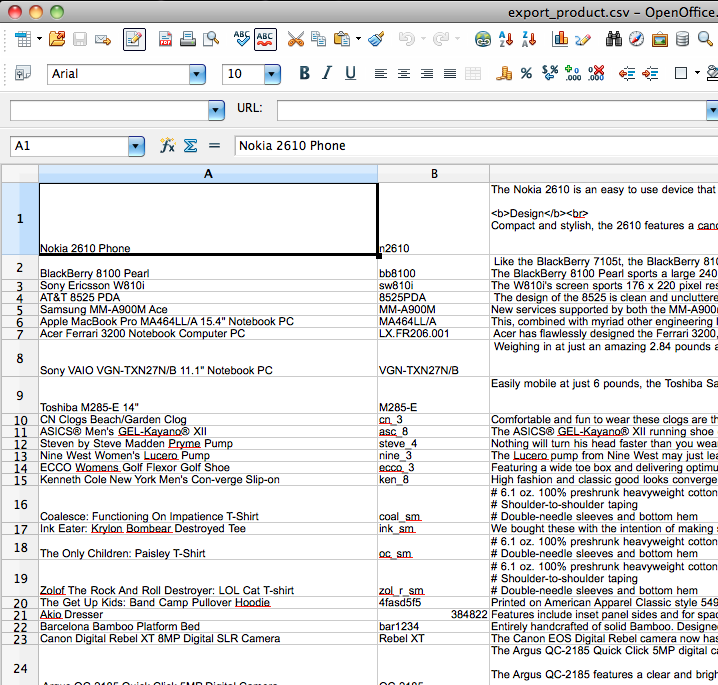 Open your export file in a spreadsheet editor (MS Excel, OpenOffice etc.). We need to do a little formatting before we can use this data on Copify. If you have a large number of products, you might find it useful to use a Formula to edit multple rows at once. If you haven't already done so, download the Copify example CSV to see the format and required column headings. Simply upload the CSV as part of a Bulk order on Copify, and our writers will do the rest!